This comes despite having promoted their service as not engaging in activities requiring a money transmitter license. 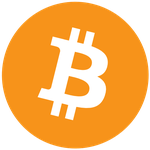 FC4B allows its customers to sell bitcoins directly to Tangible Cryptography, with no third party involvement. Users had the choice of PayPal, Dwolla, ACH Bank Deposit, or Bank Wire Transfer for sales payment. This allowed FC4B to advertise that since they were a direct buyer of bitcoins, they did not need to meet the same regulatory standards that would be required of an exchange. However, according to the announcement, a preliminary investigation conducted by the Corporation Commission concluded that FC4B’s business may fall into money transmitter territory. Under the complaint process in Virginia, Tangible Cryptography has 30 days from when notice was given to provide a written response to the commission detailing why their business does not require a money transmitter license. The notice from the state commission specifically alleges that FC4B is “issuing bitcoins,” which it implies may meet the standard for a “stored value.” FinCEN defines a Stored Value as “Funds or monetary value represented in digital electronics format,” which leaves the question of whether or not Bitcoin is a “fund or monetary value” muddled by FinCEN’s recent guidance on virtual currencies, which made a point of contrasting “virtual” currencies with “real” currencies. The two pertinent points in this case are first, whether the company is indeed “issuing” bitcoins, and second, if Bitcoin can be considered a stored value. Both requirements would need to be met in order for Tangible Cryptography to legally be required to be licensed as a money transmitter. FinCEN’s March guidance fails to specifically deal with the unique situation Tangible Cryptography finds itself in. Under the section dealing with “De-Centralized Virtual Currencies,” it is noted that businesses providing a third-party intermediary service for customers buying and selling virtual currency must obtain money transmitter licenses. Notably absent is the business model that Tangible Cryptography instituted, that of directly buying a virtual currency with no middleman involvement. Tangible Cryptography may have been a victim of its own attempts to over-comply with perceived existing and future regulation. 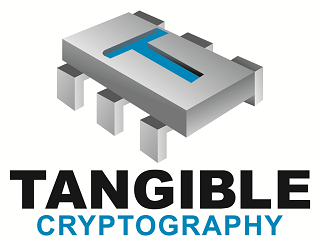 Tangible Cryptography, LLC was registered with FinCEN as a Money Services Business on 20 March, 2013. The FinCEN database lists “Money transmitter” as the MSB activity connected with the registration. Thus, it is possible that by registering as an MSB when it may not have needed to, Tangible confused state regulators into thinking that it also needed the state money transmitter license which it did not have, needlessly bringing this regulatory action onto itself. 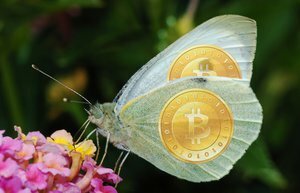 While the announcement indicates that a complaint was the beginning of Tangible’s current woes, the possibility of extraneous compliance with regulation that may not apply to a particular business is another potential pitfall that new Bitcoin-related financial businesses may need to contemplate.